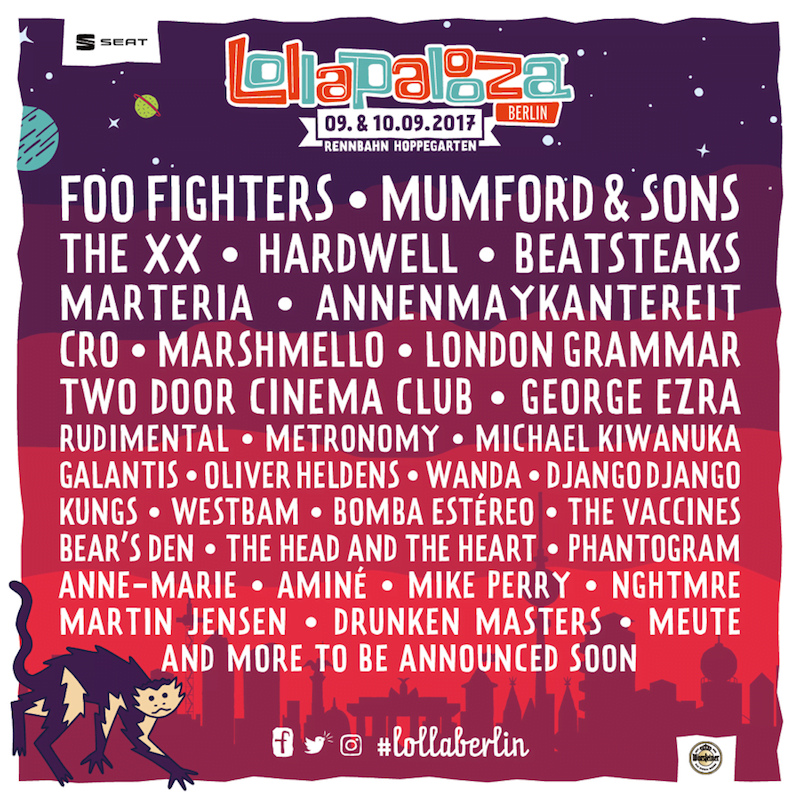 Foo Fighters and Mumford & Sons have been announced as headliners for the 2017 edition of Lollapalooza Berlin, which will be held at the new venue of the Hoppegarten Racecourse – its third in as many years. The festival, co-promoted by Melt! Booking and Live Nation (C3 Presents/Festival Republic), was forced to evacuate its original home, the disused Tempelhof Airport, when the site was converted into temporary housing for refugees. A move to Treptower Park followed in 2016, which was opposed by many local residents and even ten states of the former USSR (the park houses a Soviet war memorial). Hoppegarten Racecourse (Rennbahn) is located around 12 miles to the east of Berlin. Storms force Lollapalooza to cut short first night Park evacuated as artists told it's not safe to perform.